A Victorian conservatory is one of the most popular conservatory styles. This classically elegant structure complements a wide variety of architectural styles. Besides, it has a shape that is quite distinctive from others. A Victorian conservatory is characterised by a large bay window on one wall. This multi-faceted window gives the extension a curved shape on that end. While any conservatory will give you extra space to use, only a Victorian conservatory will give you such a graceful style. In its traditional form, with a dwarf wall, you can recreate the architecture of the Victorian era. On the other hand, if you get one with fully-glazed walls, you get a modern extension that looks stunning. The best part is, even with its vintage form, our conservatories from Ultraframe are equipped with all the modern amenities. As a result, you get contemporary features with a classic style. 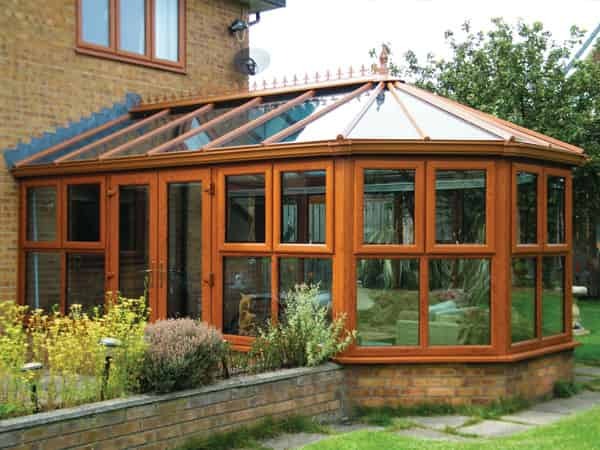 With such dazzling performance and alluring looks, a Victorian conservatory is sure to make your Leeds home stand out. At Select Windows, we bring you superior products that give you years of long-lasting performance. 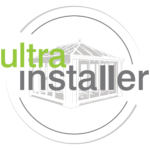 This is why we work with Ultraframe to give you conservatories that don’t just look good. With our Victorian conservatory, you get outstanding thermal performance, unbeatable weather protection, and improved security. Our double glazed Victorian conservatory is designed for better heat retention. Plus, we install it so efficiently that not a drop of water nor any cold draught can enter. As a result, you get a warm and dry room to enjoy all year round. Even if the weather is exceptionally warm, you don’t have to worry about an overheated room with our ventilation vents. In fact, you can choose a large door style, like French doors or bi-fold doors, for your Victorian conservatory. This way, you get a beautiful design feature along with great ventilation. 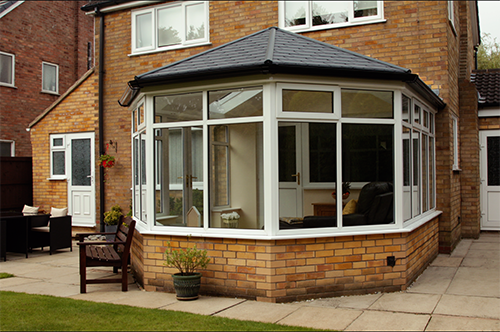 We also offer high-security locking systems to keep your conservatory safe and secure. Moreover, we use multi-point locks and hinges that can resist force. 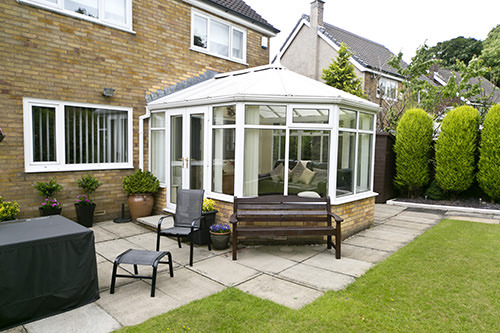 As a result, your conservatory gives you and your family complete protection. One of the main advantages you get with your Victorian conservatory is the increased space in your home. As a result, you increase the overall value of your home. However, the increased space also improved the quality of your life. You get a beautifully illuminated room that can be used as you wish. Your Victorian conservatory can be a spare bedroom or a children’s playroom. You can use it as a living room or a dining area. It can serve as a cosy den or an office at home. This is a versatile room! Moreover, you get increased sunlight and ventilation. With our high degree of weatherproofing and thermal insulation, you get a room for all weathers. You can enjoy the sights and sounds of nature from the comfort of your Victorian conservatory. The bay window of this glazed extension is ideal for this purpose. It protrudes out just enough to give you a sense of being outdoors. You can be closer to your garden or enjoy the rain at close quarters. However, you don’t have to be out, exposed to the elements. You can get closer to nature without even stepping out. We understand that each house, and each person, has different needs. We understand this and this is why we give you complete freedom in designing your Victorian conservatory. You can tailor the conservatory to look exactly the way you want it. This includes the size and the colour. We give you a selection of hues and finishes to pick from. As a result, you can match the Victorian conservatory to the facade of your home. However, you can also choose the number of panels you want in your bay window. We offer 3 and 5-panelled bay windows. As a result, you can design the complexity of this feature as well. As we mentioned earlier, you can choose to install the door of your choice. We offer sliding doors, French doors, and bi-fold doors. You can combine a French door with dwarf walls for a classic look. You can also make your Victorian conservatory look modern with fully-glazed walls and a stunning bi-fold door. 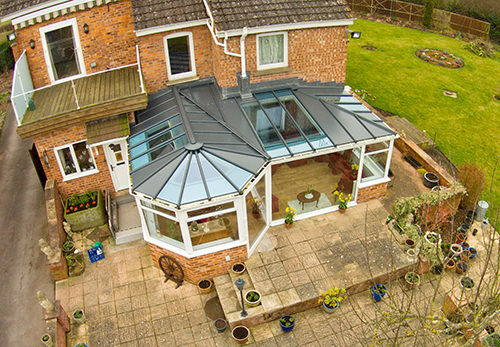 Finally, you can even opt for an unconventionally shaped conservatory. By simply combining a Victorian conservatory with an Edwardian or Lean-To, you can create a large P-shape. This shape is great for managing space more efficiently, so that you get a larger room. If you’re looking for Victorian conservatory prices in Leeds, you will get a great deal with us. We offer our online quote calculator if you want to see how much your conservatory will cost you. Your Victorian conservatory price will vary according to the size, colour, finish, and fittings you choose. If you are in doubt, feel free to contact us. We will give you all the information about the product that you need to make an informed decision.